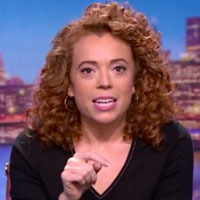 Showing 1 - 15 of 16 articles tagged "The Joel McHale Show with Joel McHale"
Neither The Break with Michelle Wolf nor The Joel McHale Show with Joel McHale had their own YouTube channel. Joel McHale on his talk show cancelation: “Obviously Netflix has trained their audience to binge watch"
Is snark dead in late-night? Netflix has decided to cancel both comedian-fronted talk shows after they each completed their first season. The six new episodes are scheduled to premiere on July 15, following the initial 13-episode spring season. McHale brought his Netflix show "feud" to the 10 a. The first E! boss McHale worked for was fine with Kardashian-bashing. 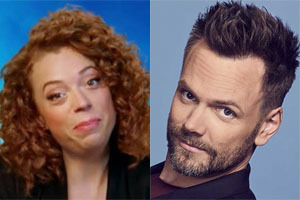 The Joel McHale Show With Joel McHale will focus on what McHale knows best: pop-culture. Watch the official trailer for McHale’s new Netflix talk show.